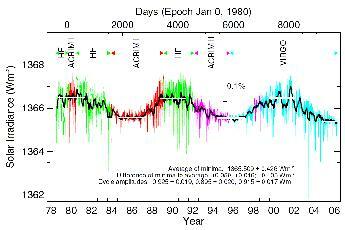 Two and a half solar cycles of Total Solar Irradiance (TSI), also called 'solar constant'. 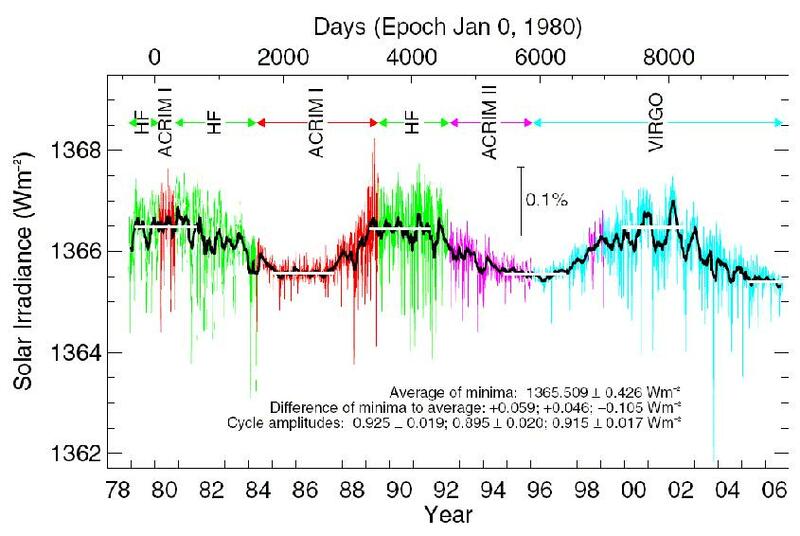 This composite, compiled by the VIRGO team at the Physikalisch-Meteorologisches Observatorium / World Radiation Center Davos, Switzerland, shows TSI as daily values plotted in different colors for the different originating experiments. The difference between the minima values is also indicated, together with amplitudes of the three cycles.